Health Challenge of the Week! I hope you had a restful weekend and Happy Easter. How many chocolate bunnies did you eat? haha just kidding! So I hope you got your needed sugar fix in this Easter because the fitness challenge of the week is….. So this will be tough!!! You will have to say no to all desserts (choose fruit!!!). No cookies, sugar in coffee etc… Don’t go all Splenda on me eitherrr friends…that stuff isn’t good for you. 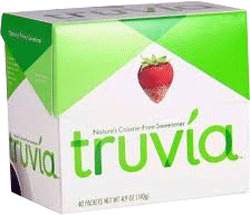 Try Stevia! Also if you haven’t already please go to my facebook page and “like” it/me!!! Wooo http://www.facebook.com/FITfloridian I will be checking in this week to see how we’re all doing. And if you’re reading this blog now and it’s not Sunday night…No worries. You too can start this whole health nut thing and cleanse your body of sugar starting now. Give it a try for a week. It will be hard at first but eventually become easier and easier as you gain control over your cravings. Don’t let sugar be the enemy! What to do? Load up on the fruits and vegetables. Drink tons and tons of water! 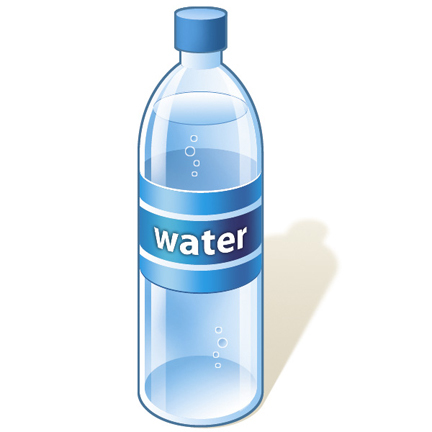 Remember this is basically a detox so the water will help cleanse your body! Drink herbal tea with stevia or just plain. Have a cup of unsweetened vanilla almond milk to help satisfy those cravings. Also…check out my sugar free “Earth” cookies, but remember portion sizes (1-2 cookies/serving) YOU CAN DO IT!!!!!! This week on 60 Minutes they featured a very important topic concerning health and nutrition. There has always been debacle over the sugar issue, what is good for you, enough or too much? Hopefully this story was a wake up call for some. Just one can of Coca-Cola is theorized to be more than the desired amount of added sugars to your diet in just a DAY! There have been several diseases and cancers linked to the amount of sugar one consumes. Moreover they have found that Cancer cells are fed by sugar and grow or metastasize because of it. I pasted the article into this post but I HIGHLY recommend checking out the website and watching the interview and special. The power is in your hands!!! Make sure you educate yourself and make the necessary changes. Of course you will not die if you have a piece of cake one evening for dessert…but think about the effects on your body long term. Remember that every bite counts!!!! Happy Eating (hopefully less sugar) and Exercising! (CBS News) If you are what you eat, then what does it mean that the average American consumes 130 pounds of sugar a year? Sanjay Gupta reports on new research showing that beyond weight gain, sugar can take a serious toll on your health, worsening conditions ranging from heart disease to cancer. Some physicians go so far as to call sugar a toxin. The following script is from “Sugar” which aired on April 1, 2012. Dr. Sanjay Gupta is the correspondent. Denise Schrier Cetta and Sumi Aggarwal, producers. The chances are good that sugar is a bigger part of your daily diet than you may realize which is why our story tonight is so important. New research coming out of some of America’s most respected institutions is starting to find that sugar, the way many people are eating it today, is a toxin and could be a driving force behind some of this country’s leading killers, including heart disease. As a result of these findings, an anti-sugar campaign has sprung up, led by Dr. Robert Lustig, a California endocrinologist, who believes the consumption of added sugars has plunged America into a public health crisis. Dr. Sanjay Gupta: Is sugar toxic? Dr. Robert Lustig: I believe it is. Dr. Sanjay Gupta: Do you ever worry that that’s– it just sounds a little bit over the top? Dr. Robert Lustig: Sure. All the time. But it’s the truth. Motivated by his own patients — too many sick and obese children – Dr. Lustig has concluded that sugar, more than any other substance, is to blame. While Dr. Lustig has published a dozen scientific articles on the evils of sugar, it was his lecture on YouTube, called “Sugar: The Bitter Truth,” that brought his message to the masses. By “bad food” Dr. Lustig means the obvious things such as table sugar, honey, syrup, sugary drinks and desserts, but also just about every processed food you can imagine, where sugar is often hidden: yogurts and sauces, bread, and even peanut butter. And what about the man-made, often vilified sweetener, high fructose corn syrup? Dr. Robert Lustig: No. ‘Cause it’s the exact same. They are basically equivalent. The problem is they’re both bad. They’re both equally toxic. Since the 1970s, sugar consumption has gone down nearly 40 percent, but high fructose corn syrup has more than made up the difference. Dr. Lustig says they are both toxic because they both contain fructose — that’s what makes them sweet and irresistible. Dr. Robert Lustig: We love it. We go out of our way to find it. I think one of the reasons evolutionarily is because there is no food stuff on the planet that has fructose that is poisonous to you. It is all good. So when you taste something that’s sweet, it’s an evolutionary Darwinian signal that this is a safe food. Dr. Sanjay Gupta: We were born this way? Dr. Robert Lustig: We were born this way. Central to Dr. Lustig’s theory is that we used to get our fructose mostly in small amounts of fruit — which came loaded with fiber that slows absorption and consumption — after all, who can eat 10 oranges at a time? But as sugar and high fructose corn syrup became cheaper to refine and produce, we started gorging on them. Americans now consume 130 pounds per person a year — that’s a third of a pound every day. Dr. Lustig believes those sweeteners are helping fuel an increase in the most deadly disease in America: heart disease. For years, he’s been a controversial voice. But now, studies done by Kimber Stanhope, a nutritional biologist at the University of California, Davis are starting to back him up. She’s in the middle of a groundbreaking, five-year study which has already shown strong evidence linking excess high fructose corn syrup consumption to an increase in risk factors for heart disease and stroke. That suggests calories from added sugars are different than calories from other foods. Dr. Sanjay Gupta: The mantra that you hear from most nutritionists is that a calorie is a calorie is a calorie. Kimber Stanhope: And I think the results of the study showed clearly that is not true. Stanhope’s conclusions weren’t easy to come by. Nutrition studies are expensive and difficult. Stanhope has paid groups of research subjects to live in this hospital wing for weeks at a time, under a sort of 24-hour lockdown. They undergo scans and blood tests – every calorie they ingest, meticulously weighed and prepared. Kimber Stanhope: They’re never out of our sight. So we do know that they are consuming exactly what we need them to consume. Dr. Sanjay Gupta: And they’re not sneaking any candy bars on the side. Kimber Stanhope: Yeah, right, exactly. Then, 25 percent of their calories are replaced with sweetened drinks and Stanhope’s team starts drawing blood every 30 minutes around the clock. And those blood samples? They revealed something disturbing. Dr. Sanjay Gupta: And what are you starting to see? Kimber Stanhope: We found that the subjects who consumed high fructose corn syrup had increased blood levels of LDL cholesterol and other risk factors for cardiovascular disease. Dr. Sanjay Gupta: How quickly did these changes occur? Kimber Stanhope: Within two weeks. Kimber Stanhope’s study suggests that when a person consumes too much sweet stuff, the liver gets overloaded with fructose and converts some of it into fat. Some of that fat ends up in the bloodstream and helps generate a dangerous kind of cholesterol called small dense LDL. These particles are known to lodge in blood vessels, form plaque and are associated with heart attacks. Dr. Sanjay Gupta: Did it surprise you when you first got these results back? Kimber Stanhope: I would have to say I was surprised because when I saw our data, I started drinking and eating a whole lot less sugar. I would say our data surprised me. So imagine, for these healthy young people, drinking a sweetened drink might be just as bad for their hearts as the fatty cheeseburgers we’ve all been warned about since the 1970s. That’s when a government commission mandated that we lower fat consumption to try and reduce heart disease. Dr. Robert Lustig: Exactly. And we did. And guess what? Heart disease, metabolic syndrome, diabetes and death are skyrocketing. Dr. Lustig believes that’s primarily because we replaced a lot of that fat with added sugars. Dr. Robert Lustig: Take the fat out of food, it tastes like cardboard. And the food industry knew that. So they replaced it with sugar. Dr. Sanjay Gupta: This idea that sugar increases this particularly bad LDL, the small dense particles that are associated with heart disease. Do most doctors– do they know this? Dr. Robert Lustig: No, they do not know this. This is new. And it turns out, sugar has become a major focus in cancer research too. Lewis Cantley, is looking at the connection. Dr. Sanjay Gupta: If you limit your sugar you decrease your chances of developing cancer? Cantley, a Harvard professor and the head of the Beth Israel Deaconess Cancer Center, says when we eat or drink sugar, it causes a sudden spike in the hormone insulin, which can serve as a catalyst to fuel certain types of cancers. Lewis Cantley: What we’re beginning to learn is that insulin can cause adverse effects in the various tissues. And of particular concern is cancer. Why? Nearly a third of some common cancers — including breast and colon cancers — have something called insulin receptors on their surface. Insulin binds to these receptors and signals the tumor to start consuming glucose. Every cell in our body needs glucose to survive. But the trouble is, these cancer cells also use it to grow. Lewis Cantley: So if you happen to have the tumor that has insulin receptors on it then it will get stimulated to take up the glucose that’s in the bloodstream rather than go into fat or muscle, the glucose goes into the tumor. And the tumor uses it to grow. Dr. Sanjay Gupta: So you’ve just seen that tumor turn blue which is essentially reflective of glucose going into it. Dr. Sanjay Gupta: So these cancers, much in the same way that muscle will say, “Hey, I’d like some of that glucose, the fat says, “I would like some of that glucose,” the cancers have learned how to do this themselves as well? Lewis Cantley: Yes. So they have evolved the ability to hijack that flow of glucose that’s going by in the bloodstream into the tumor itself. Lewis Cantley’s research team is working on developing drugs that will cut off the glucose supply to cancer cells and keep them from growing. But until there’s a breakthrough, Cantley’s advice? Don’t eat sugar. And if you must, keep it to a minimum. Lewis Cantley: In fact– I– you know, I live my life that way. I rarely eat sugar. Dr. Sanjay Gupta: When you see a sugary drink or if I were to offer you one, what– with all that you know, what’s going through your mind? Lewis Cantley: I probably would turn it down and get a glass of water. Eric Stice: It turns out sugar is much more addictive than I think we had sort of realized early on. Eric Stice, a neuroscientist at the Oregon Research Institute, is using functional MRI scanners to learn how our brains respond to sweetness. Eric Stice: Sugar activates our brain in a special way. That’s very reminiscent of, you know, drugs like cocaine. I climbed into the MRI scanner to see how my brain would respond. That’s a straw that’s been rigged to deliver a tiny sip of soda into my mouth. Eric Stice: Stay as still as you can, ok? Just as it hit my tongue, the scanner detected increased blood rushing to certain regions of my brain. In these images, the yellow areas show that my reward region is responding to the sweet taste. Dopamine – a chemical that controls the brain’s pleasure center – is being released, just as it would in response to drugs or alcohol. Dr. Sanjay Gupta: So dopamine is released. That sort of makes me feel good. I’m experiencing some pleasure from having this Coke. Eric Stice: Right, that euphoric effect. Dr. Sanjay Gupta: So far be it for people to realize this ’cause sugar is everywhere, but you’re saying this is one of the most addictive substances possibly that we have? Eric Stice: It certainly is very good at firing the reward regions in our brain. Eric Stice says by scanning hundreds of volunteers, he’s learned that people who frequently drink sodas or eat ice cream or other sweet foods may be building up a tolerance, much like drug users do. As strange as it sounds, that means the more you eat, the less you feel the reward. The result: you eat more than ever. Eric Stice: If you overeat these on a regular basis it causes changes in the brain that basically it blunts your reward region response to the food, so then you eat more and more to achieve the same satisfaction you felt originally. With all this new science emerging, we wanted to hear from the sugar industry, so we visited Jim Simon, who’s on the board of the Sugar Association, at a sugar cane farm in Louisiana. Dr. Sanjay Gupta: Would it surprise you that almost every scientist that we talked to in researching this story told us they are eliminating all added sugars. They’re getting rid of it because they’re concerned about the health impacts. Jim Simon: To say that the American consuming public is going to completely omit, eliminate, sweeteners out of their diet I don’t think gets us there. Simon cautions that eliminating sugar wrongly vilifies one food, rather than working towards the long-term solution of reducing calories and exercising. Dr. Sanjay Gupta: You know, a lot of people, Jim, are saying that sugar is different. That it is bad for your heart and is causing a lot of the problems we’re talking about. It is addictive and in some cases might even fuel cancers. What would you – I mean you’ve looked at this. You must have looked at some of these studies. What do you say about that? Jim Simon: The science is not completely clear here. Dr. Sanjay Gupta: But some of that’s, but some of these studies exist. I mean, what is a consumer, what are they to make of all that? Jim Simon: Well, I would say to them, that they’ve got to approach, their diet in balance. Dr. Robert Lustig agrees — we need a balanced diet — but his idea of balance is a drastic reduction in sugar consumption. To that end he co-authored an American Heart Association report recommending men should consume no more than 150 calories of added sugars a day. And women, just 100 calories. That’s less than the amount in just one can of soda. Dr. Robert Lustig: Ultimately this is a public health crisis. And when it’s a public health crisis, you have to do big things and you have to do them across the board. Tobacco and alcohol are perfect examples. We have made a conscious choice that we’re not going to get rid of them, but we are going to limit their consumption. I think sugar belongs in this exact same wastebasket. Also, please refrain from dancing like this. P.S. The fitness challenge of the week: 30 minutes of working out each day this week. Can you fit in 30? Just do it! Okay. So I played around with the imovie applicaiton on my computer and added some cool effects to my next video blog about meat and veganism/vegetarianism. This is just a stream of consciousness concerning a few of the ideas floating around my mind as I research and educate myself on diet and nutrition. I hope you enjoy it! I hope you laughed at least once. 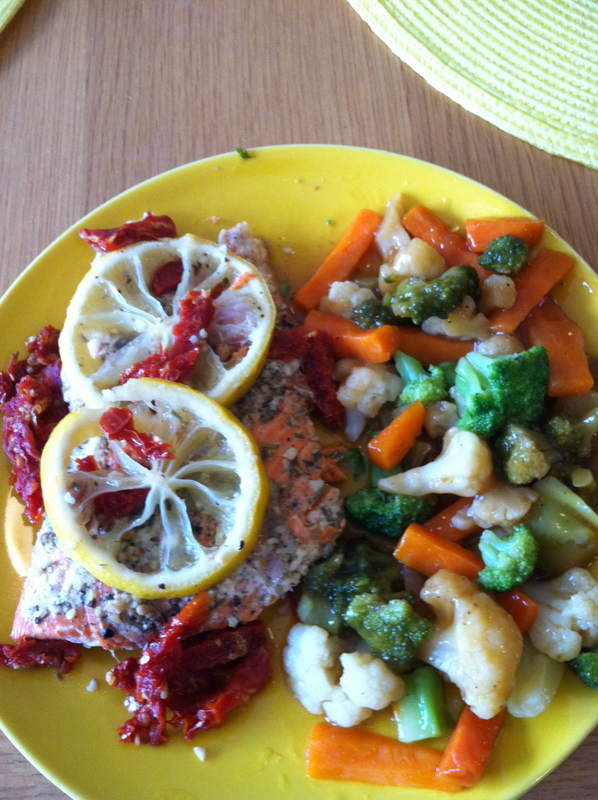 The focus here is incorporating healthier choices into your everyday lifestyle. 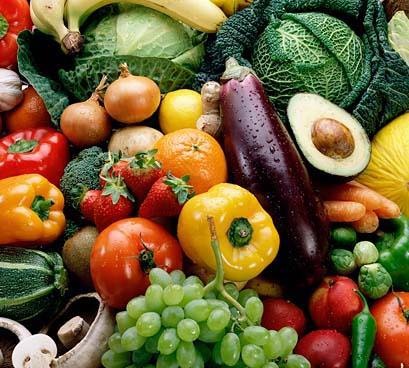 Try eating more veggies and fruits. You will feel remarkable!!! FITNESS CHALLENGE OF THE WEEK: Workout for 30 min at least each business day of the week. Can YOU do it??? “Feel sore or feel sorry”!!!! You always want what you can’t have…? Every single time I read the list of ingredients and it looks good until “contains milk”…this is how I react. My problem right now is that I literally don’t have any time yet to cook and experiment in the kitchen. AND EVERYTHING that I originally thought would be healthy and vegan has some sort of animal product hidden in the label. At four years old I decided to stop eating red meat because I wanted to be more like my mom. I kept eating chicken for a while but soon after gave that up too as a kid. In 8th grade I gave up eggs just because the thought of them freaked me out but started eating them again in high school because I needed “protein in my diet.” I occasionally eat fish…so you could call me a “pescatarian.” The Mediterranean diet has been noted by a lot of researchers and doctors of the health benefits to following a diet of lean proteins, no red meats, lots of fruits and veggies and very little breads and simple sugars. But in this world, not eating steak or a hamburger is sometimes like having the plague. When I admit that I don’t eat meat….that’s usually the face I get (below). But I try to explain myself. I used to think that if I could not physically kill the animal that I should not be allowed to eat it. I have caught and ate fish…I could not see myself killing a cow, or a chicken etc. But that argument was debated by so many carnivores that I sort of gave up on it. I have thought about starting to incorporate meat into my diet. Even my future boss (post-graduation) is convinced red meat is necessary in one’s diet for muscle strength and rebuilding tissues/fibers. However, how does a horse become so muscular and strong? Does it eat meat? no. There is science that suggests that humans should be plant eaters due to the nature of our jaw. No meat eating animal has the ability to move its jaw side to side. Usually it is an open close, straight up and down mechanism. Look at alligators, dogs, cats, lions…they all have the carnivore jaw. But this does not mean I can tell anyone what they should eat by no means. And I respect the same in return. I often say ohhh yeah I’m weird I don’t eat meat which serves as an ice breaker and also a way to not be served meat. Especially when it sort of grosses you out at this point (no offense but me and the meat aisle at the grocery store stay far away from each other). So I am now contemplating the benefits of becoming a vegan. I know it is a difficult thing to do. 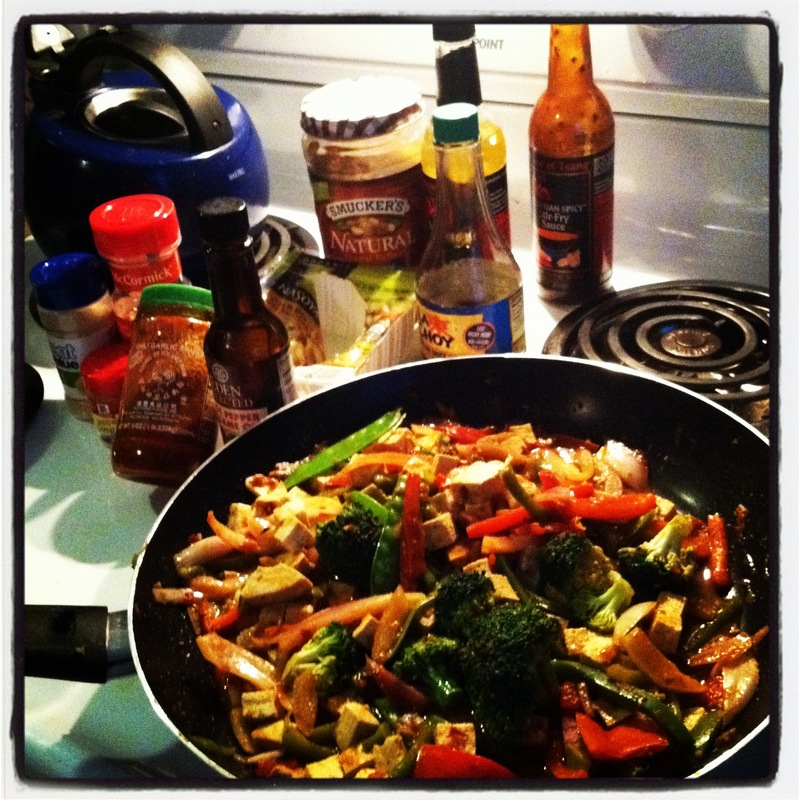 I would have to give up my favorite things…omelets, greek yogurt, sushi, and feta cheese. Oh and ICE CREAM. But I am curious to see the effects to my body as a runner and athlete. So I am proposing a one month vegan challenge from March 12th to April 12th. I will post in a section called the “Vegan Diaries” about the recipes I use and the challenges I have. Nonetheless it should be an interesting experience. And the goal of adding more healthy foods to my diet will be assisted by the natural vegan constraints. Just so you know Vegans must take a supplement called B12 which is only found in animals. Sometimes Vitamin D is taken as well but if you live in a sunny place…like Florida, you don’t need to have that as a supplement. This is my favorite go to recipe I make and can eat for the next couple days. I really like to use Tofu because it soaks up all the flavors and is good for you… but you can substitute meat if you are a carnivore (I just prefer the plants and the fish). I begin my taking a large frying pan and heating it at medium to high drizzling a little (seriously…just a little) wok oil, and add some minced garlic. I add a big spoonful of natural peanut butter and allow that to melt taking the heat down to medium. I have already prepared the broccoli, snow pea pods, peppers, and onions but feel free to choose whichever you’d prefer. I add them to the pan. Then I drizzle soy sauce, and spicy thai sauce (careful here…add more to increase the heat index ow oww), if you’d like to add a little Szechwan go ahead and do so but relatively small amount because it isn’t too healthy, yet spicy and flavorful. I sprinkle ginger and garlic. Cover with a lid. About 2 minutes later after draining the tofu I add it and lower the heat just a little bit and stir all the veggies in the sauce (and veggies) you have created. About 5 minutes into cooking I put the heat on low and allow it to simmer for about 5 additional minutes (remember to cover the pan so veggies can steam). Remove and set on a burner that is off and allow the sauce to thicken a little bit before serving. Serve plain or with wild brown rice. SO GOOD. 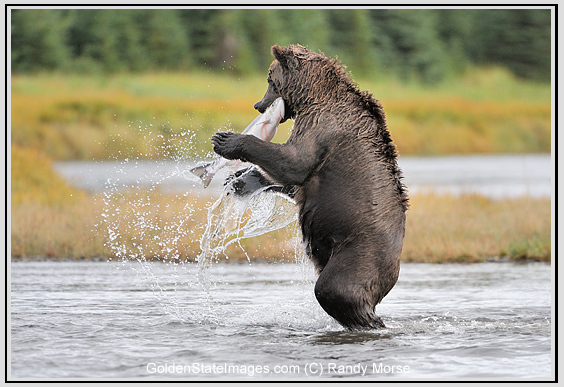 Grizzly bears aren’t the only ones who like salmon. This might be one of the best proteins you can possibly eat! When shopping for a salmon “steak” take notice of the signs in the seafood aisle. Make sure it reads caught wild instead of farmed or with added dyes in order to limit the fat and chemicals in the fish. I always wash any fish or meat before I cook it with a little soap and warm water. Make sure you thoroughly clean (that means with bleach people) anything that the uncooked salmon touches! You can cut the skin off now, keep it, or peel it off after it bakes in the over which is a little simpler. Sprinkle salt and pepper (I like using crushed peppercorns and sea salt). 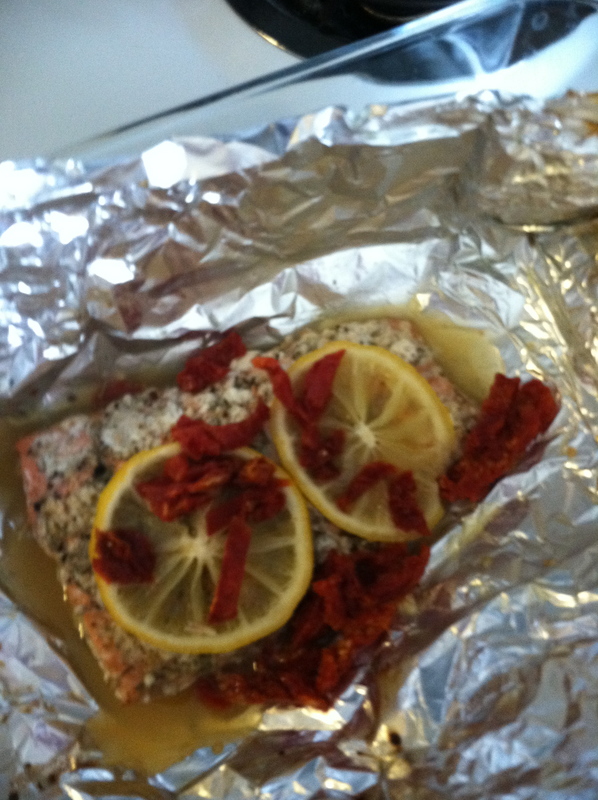 Take a piece of aluminum foil and place the salmon into it. Add minced garlic, and drizzle a little olive oil (tsp). Here is where you can get creative, look at your spice rack and add what you think will taste good. I think Dill and Salmon make a great combo, but old bay, rosemary, thyme, parsley etc might taste great too! It’s all about experimenting and seeing what tastes best for you and your family. 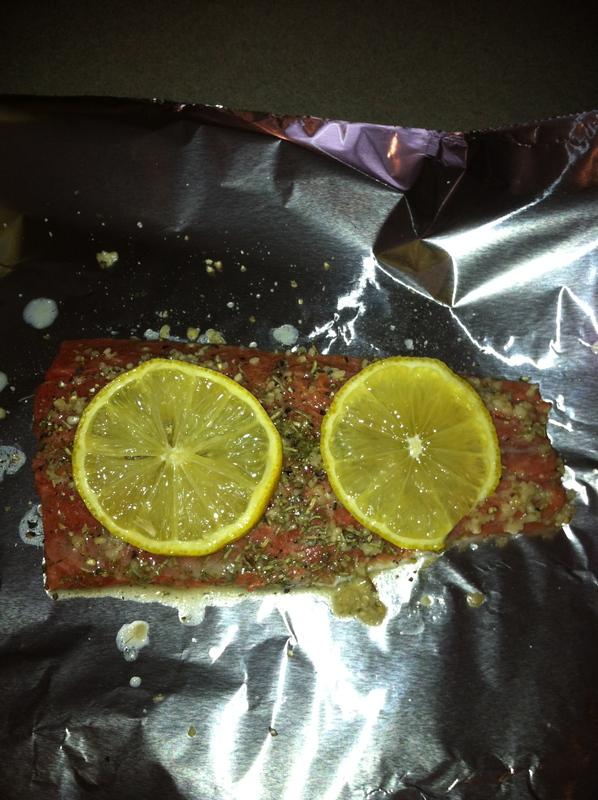 I drizzled some lemon juice and added two slices on top, covered up the salmon and baked at 375 degrees for about 35-45 minutes. If you really want some extra flavoring instead of using dry seasonings buy fresh stems of dill or rosemary and add them into the foil. I decided last minute that I wanted to use the extra smoked sun dried tomatoes I had in the fridge so for the last 10 minutes of the baking time I opened up the salmon really quickly (ouch, it’s hot!) and sprinkled some of them. Closed it back up and kept it in the oven.